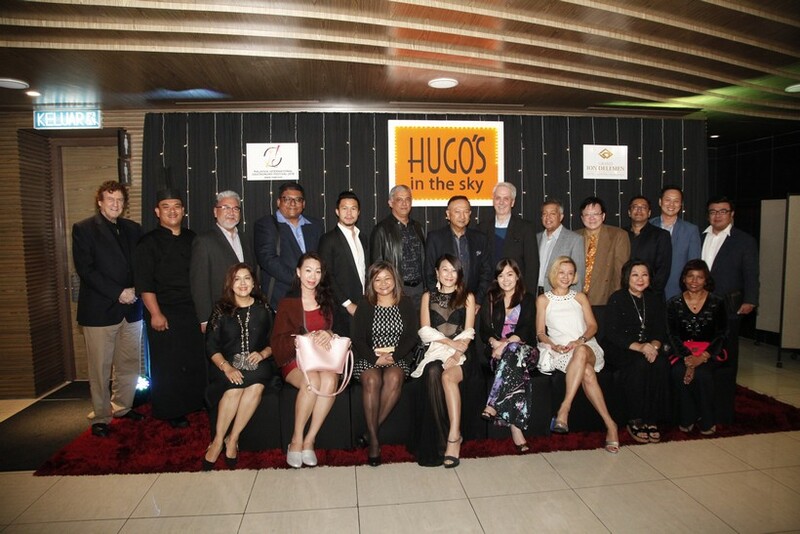 With the rolling Titiwangsa mountain range as the backdrop, Hugo’s In The Sky offers some of the most exhilarating views of any Malaysian restaurant. 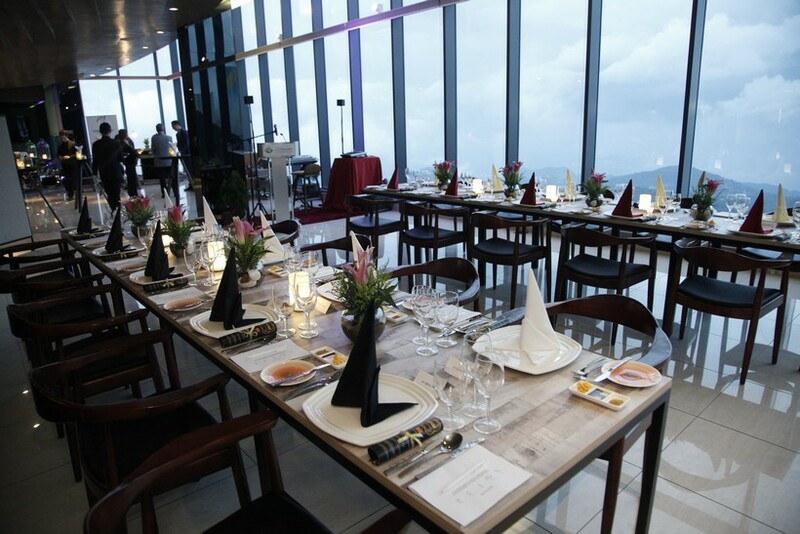 Surrounded by one of the world’s oldest rainforests, the verdant setting is nothing short of spectacular and it’s this view that greets you as soon as you step into this lofty restaurant. 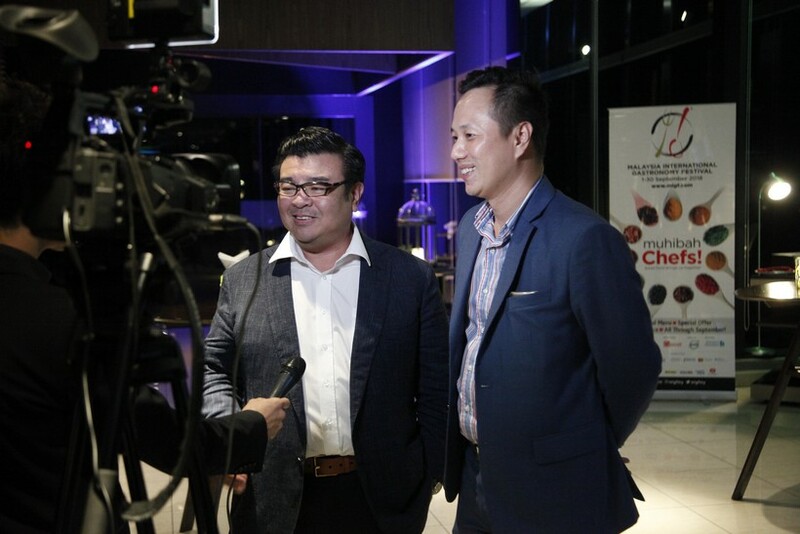 Located in the Grand Ion Delemen Hotel at the extreme end of Genting Highlands, it’s here that diners recently travelled to for a review of the six course Festival menu prepared by Chef Donny Liew Shan Lin and his team. 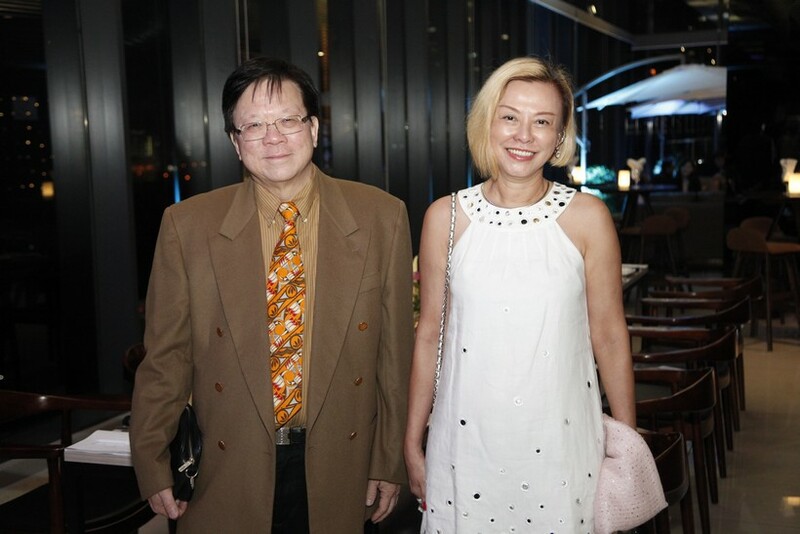 Leaving behind the concrete jungles of KL for the real-life jungles of Pahang, the dining experience was every bit as impressive as the vistas around the hotel and left each diner with a lasting impression. Arriving guests were ushered towards the rear of the restaurant and welcomed with Green Delemon cocktails and Sweet Pinkie mocktails. 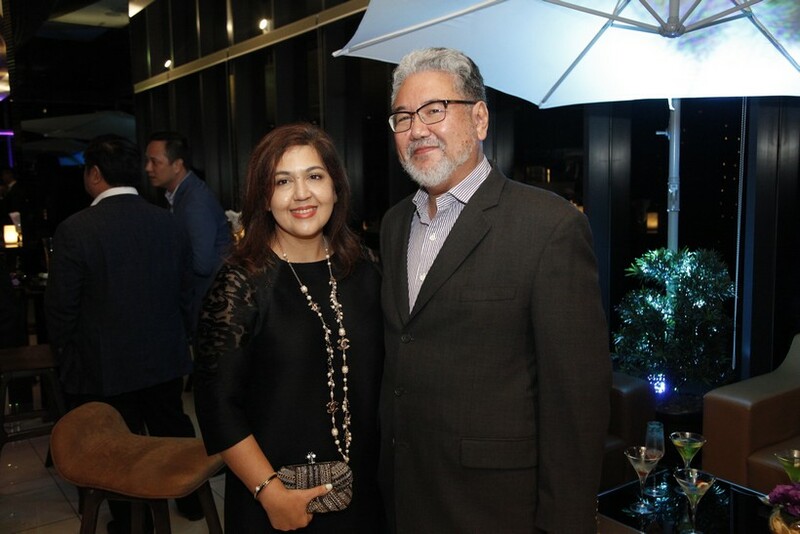 Among the dining group that evening was Festival Royal Patron and Syarikat Pesaka Antah Executive Chairman Tunku Naquiyuddin Ibni Tuanku Ja’afar, Festival Advisory Committee members Key Soon Yue and Jeffrey Perera, Harapan Group of Companies CEO Bryan Chin and Dynaniaga Sdn Bhd Owner Ahmad Fizal. 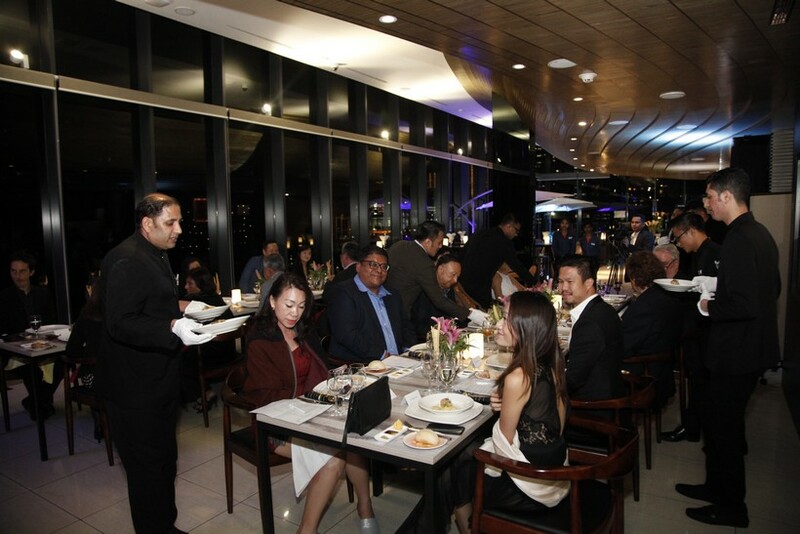 With the soothing sounds of violinist and keyboardist Mezze Duo in the air, the group mingled before dinner and whet their appetite with canapés of seared scallops, honey balsamic chicken and smoked salmon mousse. 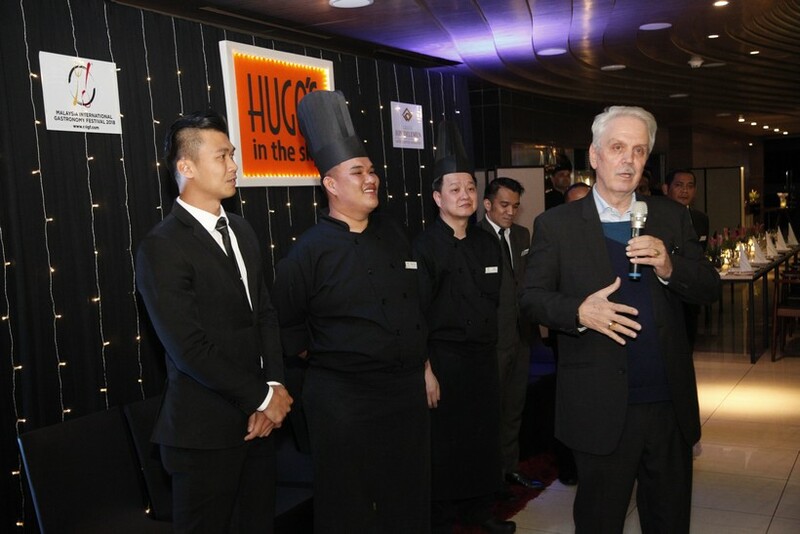 When all had arrived, MIGF Organising Chairman Dato’ Steve Day gave his welcome address before handing the floor to the hotel’s GM Dato’ Franz Swoboda, who introduced the team put together for the night’s dinner. 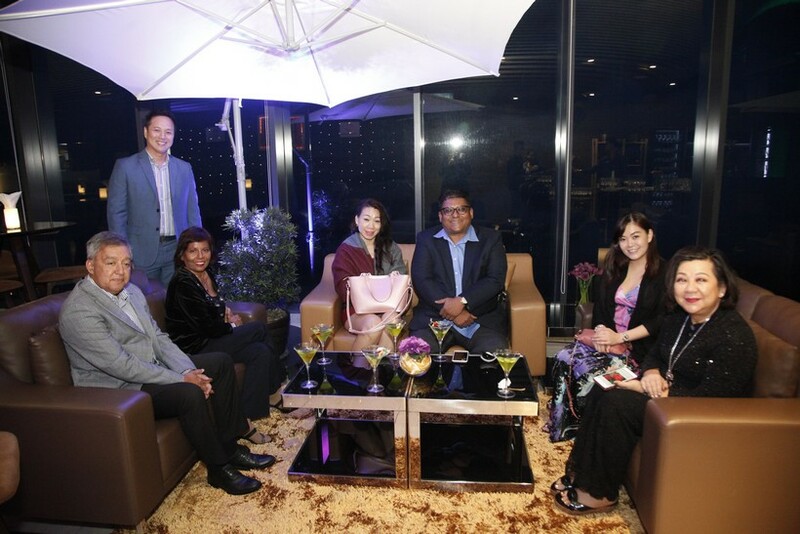 Following a group shot for posterity, diners made their way to two elegantly set tables and were seated for dinner. 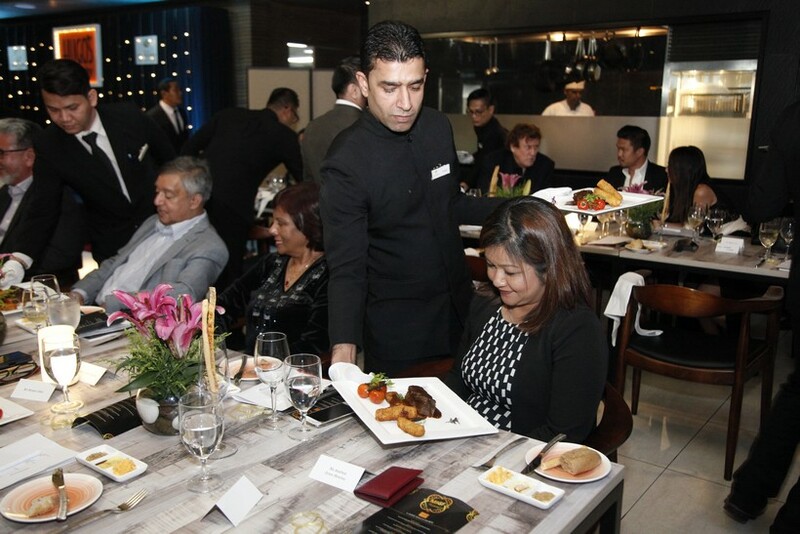 With roughly one member of staff per diner, service on the evening was as smooth and professional as one can achieve in a luxury five-star establishment. 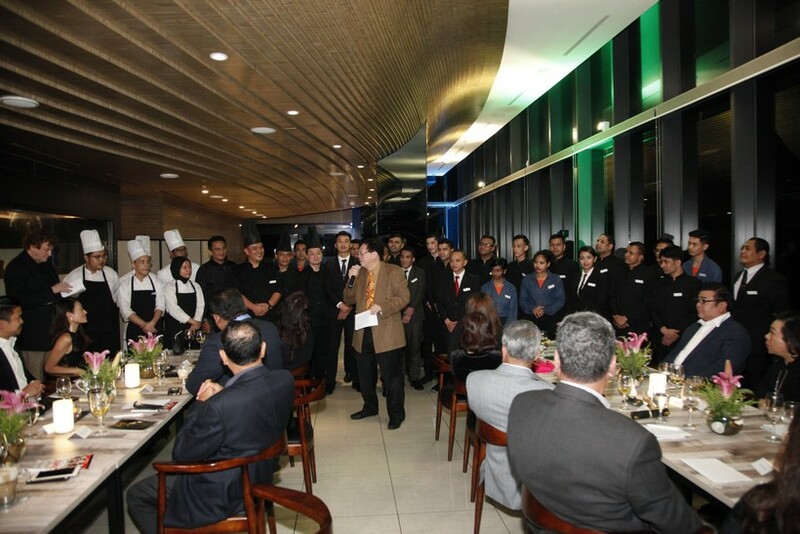 White-gloved wait staff put on a choreographed show that saw each dish served from the left and cleared from the right in perfect unison. 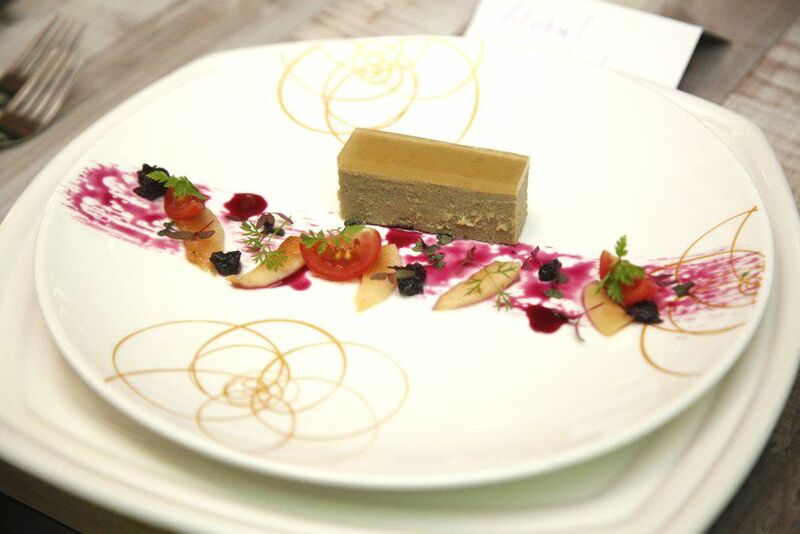 The first of these was a classic foie gras parfait with poached peach and berries sauce – rich and buttery, delicate and decadent, this was the first time the sought-after French delicacy had made an appearance on a 2018 Festival menu and proved a treat for the palate. Paired with a crisp rosé from Spain, it was a grand start to the meal. 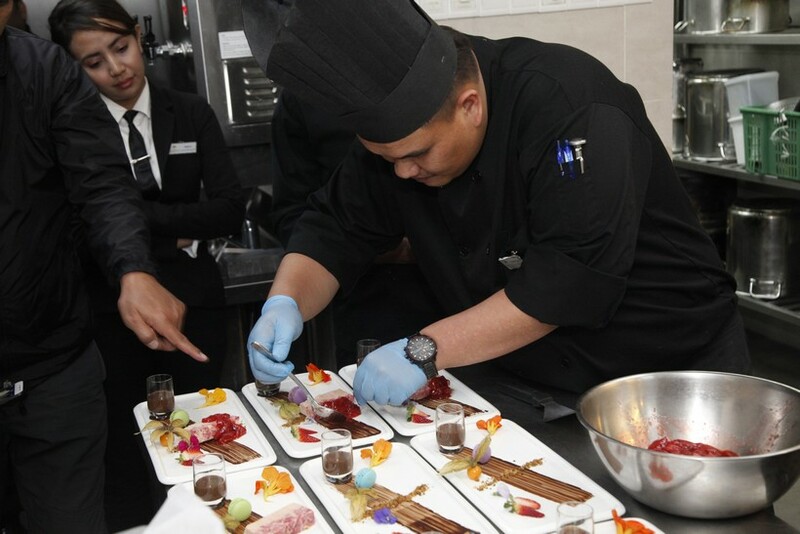 Chef Donny offered a taste of the ocean next with a seafood bouillon that carried tempura oyster and king prawn ravioli on a bed of angel hair. 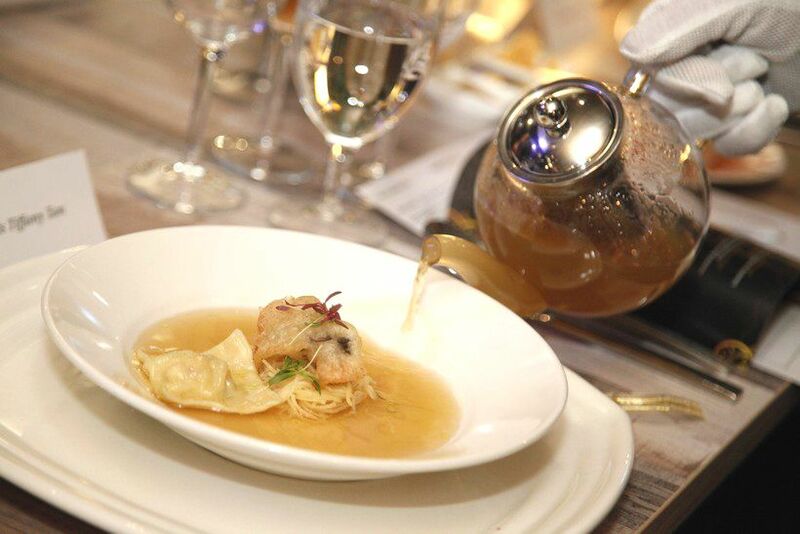 Packed with flavour and paired with a peachy Chardonnay, the course was quickly finished by diners. 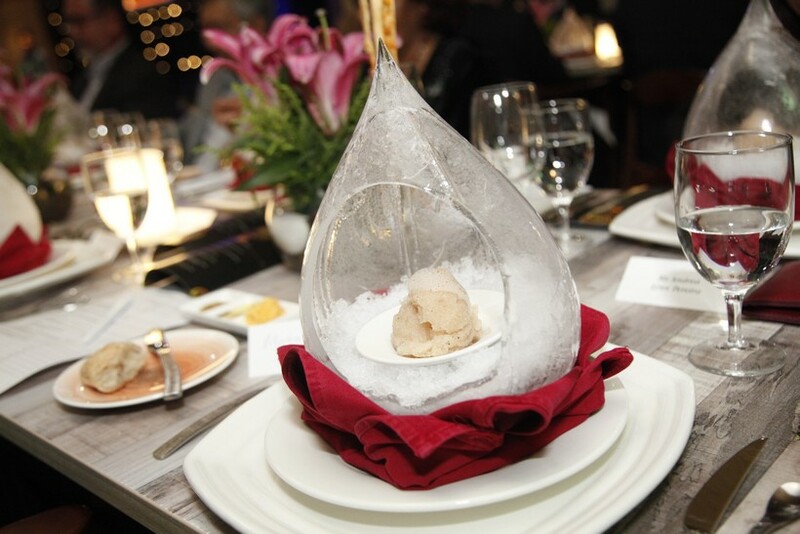 The palate cleanser is rarely a highlight in a degustation menu, but Chef Donny’s pomelo sorbet and sour plus air in an ‘ice-balloon’ proved otherwise. 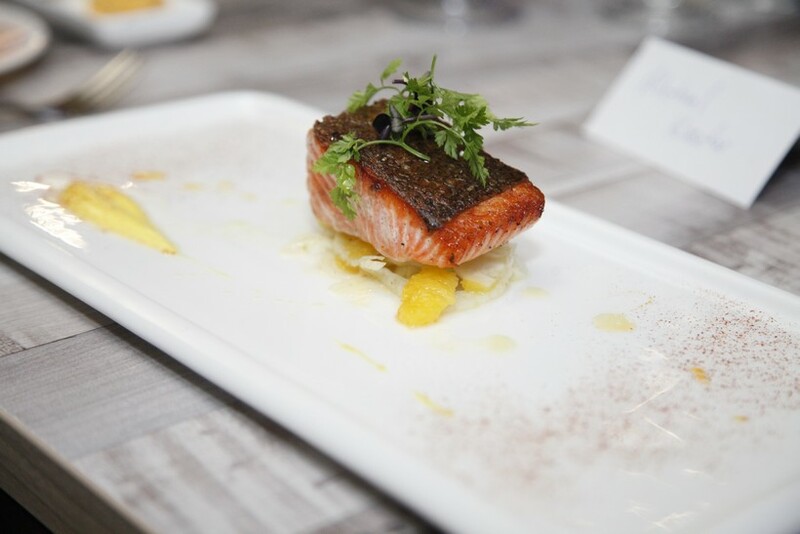 Resetting taste palates and wowing diners with its visual appearance, it paved the way for the crispy skin ocean trout and orange fennel salad. The contrast of delicate, flaky fish meat and crispy skin was a delight. 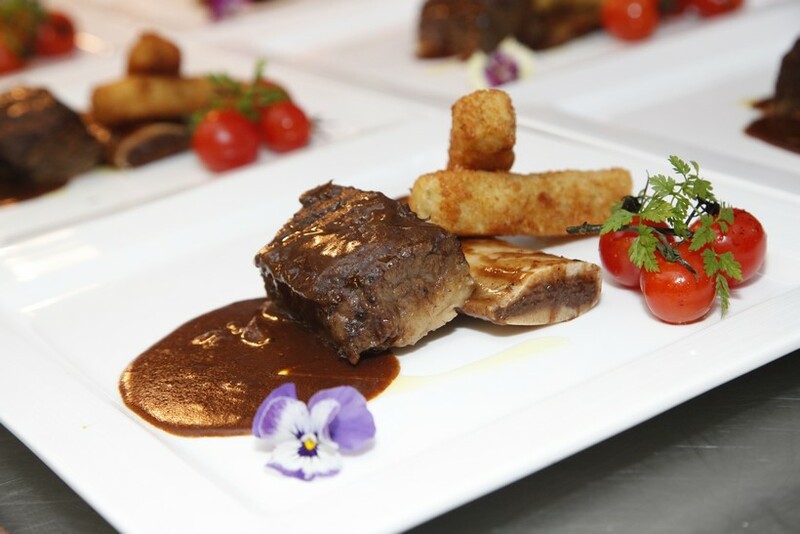 Next came Chef Donny’s signature dish, Australian short ribs with brie polenta croquette and roasted cherry tomato on vine. Slow-cooked for eight hours, the ribs carried a robust flavour and put a new meaning to the phrase “melt-in-your-mouth”. A bold Garnacha Reserva with powerful notes of ripe red and black fruits accompanied the dish. 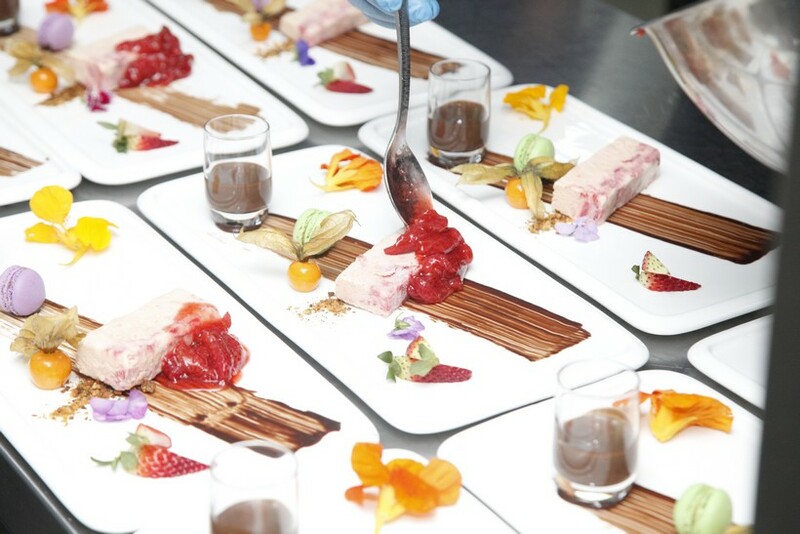 To end the meal, Chef Donny brought out a strawberry semifreddo with candied pistachio nuts and chocolate ganache. Like a half-frozen parfait, the summertime dessert united the richness of ice cream with the airy-texture of mousse and is a perfect light and flavourful ending to any menu. With the last of the dessert plates cleared away, guests capped off the meal with coffee/tea and chocolate pralines while the customary closing speeches took place. 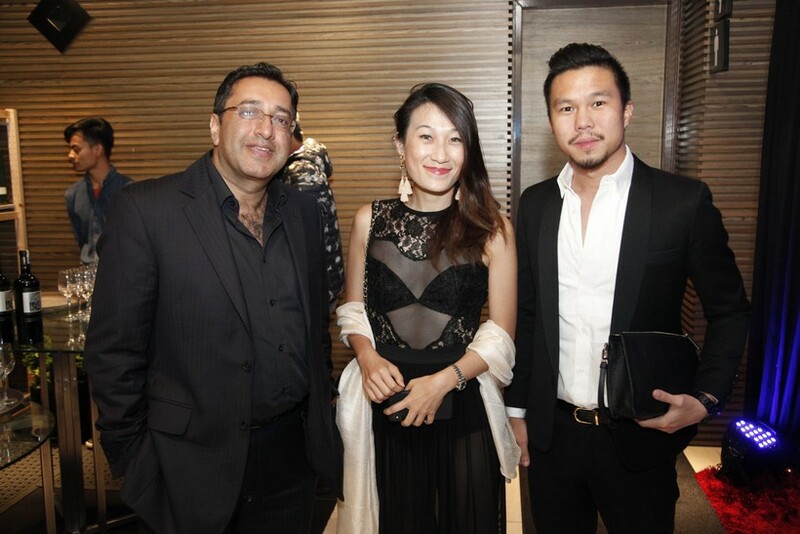 First to speak was eminent foodie Key Soon Yue who went through the menu and gave a detailed review of each dish. Needless to say, full marks or near enough were given for each one. 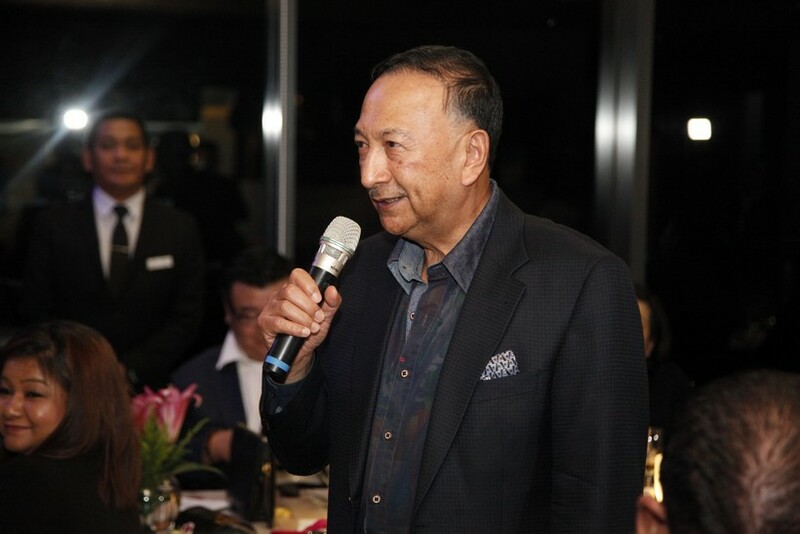 Finally, Tunku Naquiyuddin rose from his seat to thank the entire team on behalf of the guests, delivering an eloquent speech that ended with the declaration that he would be returning soon with friends in tow. In his closing remarks Tunku Naquiyuddin thanked the teams on behalf of the guests and mentioned he would be seeing them soon again! 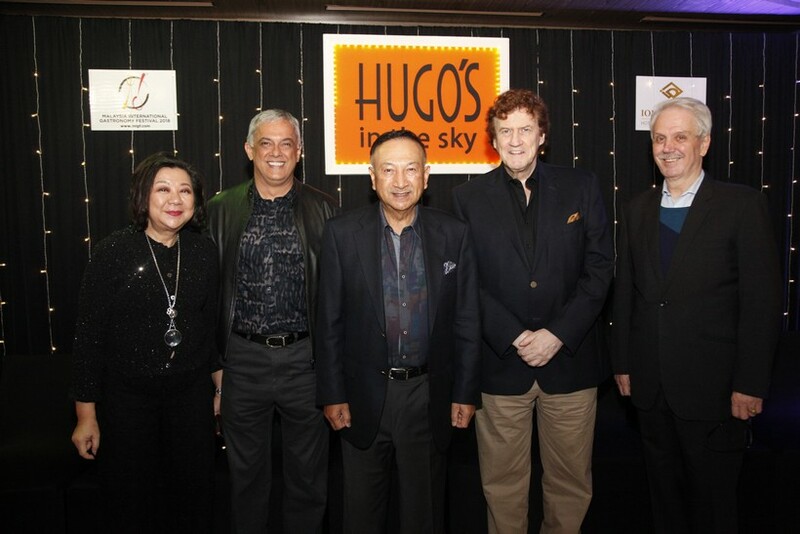 The Full Festival Menu at Hugo’s In The Sky costs RM238 nett per person without wine and RM338 nett per person with wine. 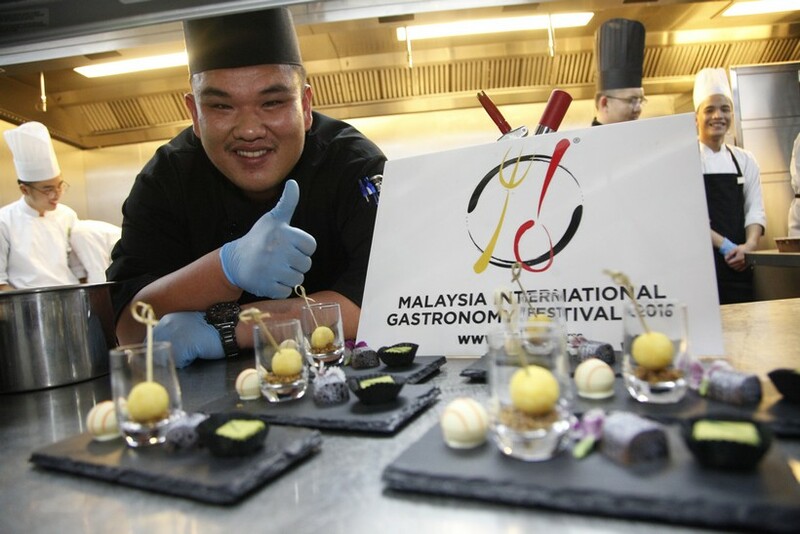 Click here to read more about the restaurant, Chef Donny and the Festival menu.